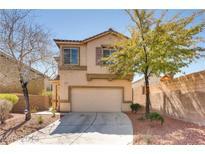 Below you can view all the homes for sale in the Belmont Park subdivision located in Las Vegas Nevada. Listings in Belmont Park are updated daily from data we receive from the Las Vegas multiple listing service. To learn more about any of these homes or to receive custom notifications when a new property is listed for sale in Belmont Park, give us a call at 702-930-8014. Designer's Dream, Summerlin Paseos Beauty, Strip/City/Mtn Views, Highly Upgraded, Cul-de-sac/Corner Lot, Largest Belmonte Model, Approx 3934/Sf, 6 Bedrms Include Lower & Upper Master En Suites, 5 Baths, Lg Open Great Rm, Gourmet Kitchen, Ge Monogram Stainless Appliances, 2 Laundry Rms, Den, Loft, Fans, Tile, Shutters, Alarm, Most Furniture Included, Master Balcony, Cov Patio, Paver Walk/Drive, Cultured Stone, Iron Gated Entry, 3 Car, Plus More! MLS#2086173. Award Realty. Model Perfect Home with a FULL Strip VIEW / 4 Bedrooms + 10 Seat Theater Room + Loft and 4 Full Bathrooms EVERY Upgrade you can think of and then some / Covered Upper Balcony & Covered Lower Patio / Pool, Spa, Firepit Over $300,000 in upgrades / GE Monogram appliances / Custom Granite/Marble / Custom Flooring / Patio Heaters Plantation Shutters / Trash Compactor / Fully Automated House for Lighting/Thermostats / and much much more MLS#2085218. BHHS Nevada Properties. Kitchen & Dining Combo Overlooking Great Room. Courtyard Entrance. Nice Touches. MLS#2083146. Keller Williams Southern Nevada. Upstairs is new carpet, expansive master suite and guest bedrooms. MLS#2079849. ERA Brokers Consolidated. Walking path directly to park & Vassiliadis elementary school! Owner w/carry! MLS#2078504. eXp Realty. *tuscan Style 2 Story Home*entertainers Dream*gated Community*rock Front Accents*tile Flrs*vltd Clngs W/ Fans*shutters*gourmet Ktchn W/ Granite Cntrs, Island, Brkfst Bar, Veggie Sink, Ss Built-in Appliances & Butler's Pantry*lrg Soaking Tub & Raining Shwr In Mstr Bthrm W/ Walk-in Closet*beautiful Mtn Views From Balcony*3 Panel Sliding Doors To Cvrd Patio*pavers In Back W/ Fountain & Low Maintenance Landscaping*3 Car Grg W/ Storage Racks* MLS#2073452. Keller Williams Market Place. Stunning Home In Paseos Community Of Belmonte, 17k$ Sid Pd In Full, 200k$ In Upgrades, Gourmet Kitchen Features Granite Cntr, Farm Sink, Monogram Stainless Appliances, Office, Master Suite Down, Master Bath With Glass Enclosed Custom Tub & Shower, 3, Possible 5 Bedrooms, Plantation Shutters, Theater Room, Fireplace, 3 Way Glass Doors Open To The Outdoor Kitchen, Salt Water Pebble Tech Pool, Temp Control Kool Deck , Spa, Pergola Cover, Fire Pit. MLS#2051933. Property Search Vegas LLC.